as compared to the 5 v CMOS series. 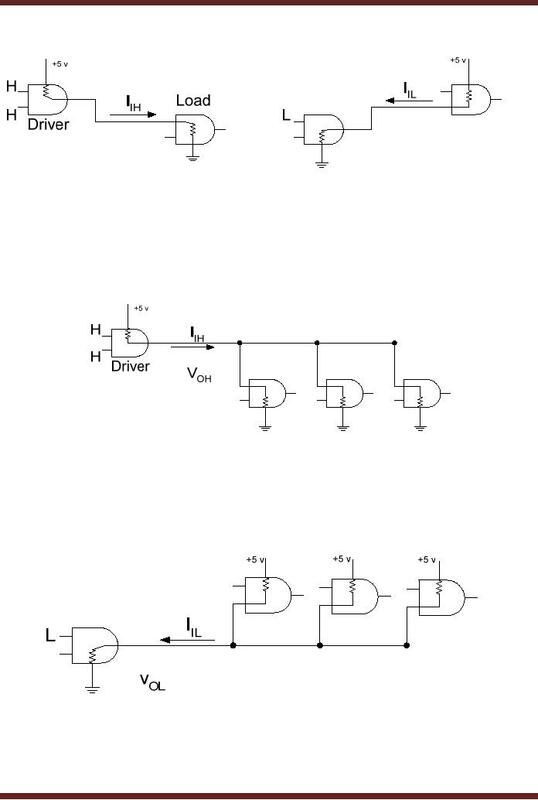 voltage range for logic high and low respectively. 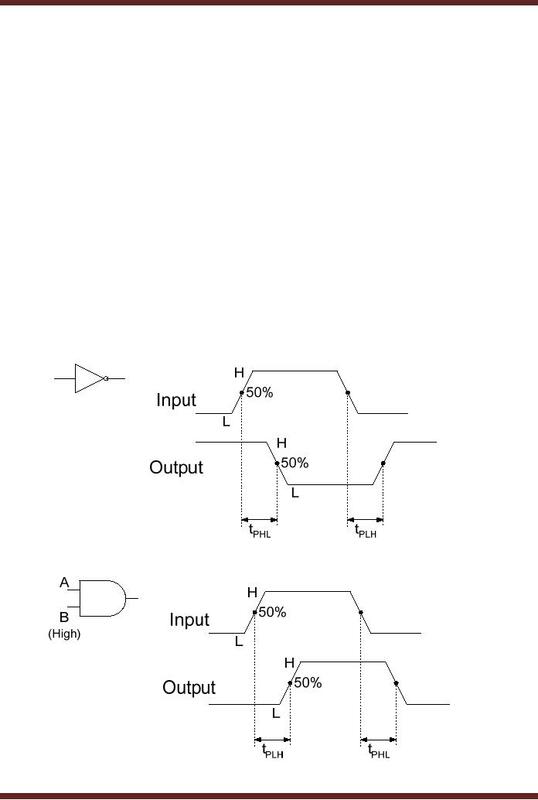 At the input of any TTL logic gate logic high `1' or a logic low `0' signal is applied. · VIH is the input voltage range of Logic high signal with a range of 2 to 5 volts. 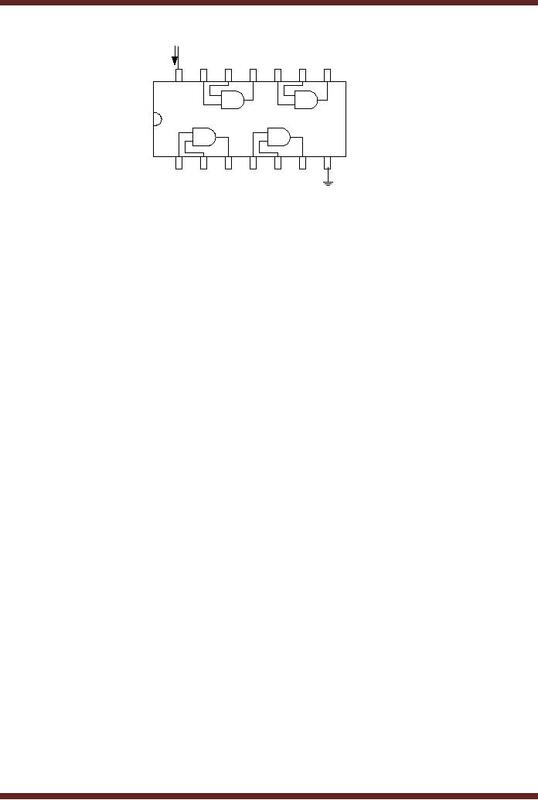 · VIL is the input voltage range of Logic low signal with a range of 0 to 0.8 volts. 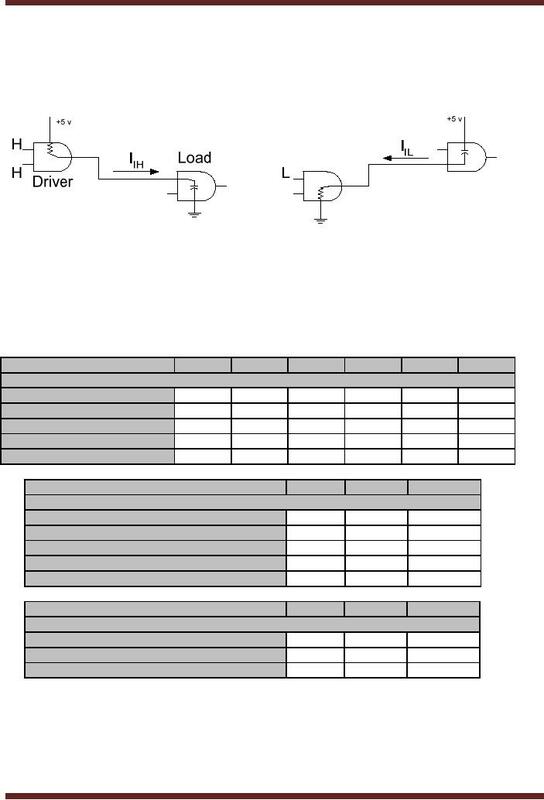 The output of any TTL logic gate can be at logic high `1' or logic low `0'. 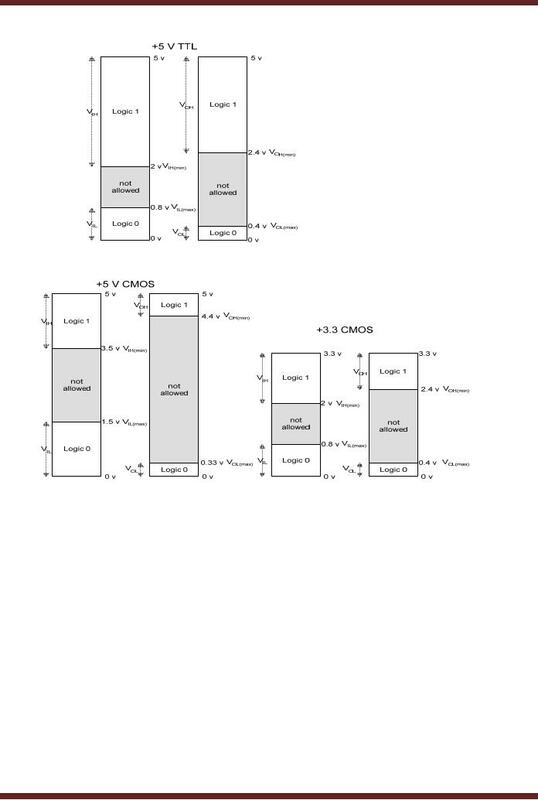 · VOH is the output voltage range of Logic high signal with a range of 2.4 to 5 volts. · VOL is the output voltage range of Logic low signal with a range of 0 to 0.4 volts. VIH is the input voltage range of Logic high signal with a range of 3.5 to 5 volts. VIL is the input voltage range of Logic low signal with a range of 0 to 1.5 volts. · VOH is the output voltage range of Logic high signal with a range of 4.4 to 5 volts. · VOL is the output voltage range of Logic low signal with a range of 0 to 0.33 volts. · VIH is the input voltage range of Logic high signal with a range of 2 to 3.3 volts. · VOH(min) is the minimum acceptable output range for a logic high signal. (2.4 volts). · VOL(max) is the maximum acceptable output range for a logic low signal. ( 0.4 volts). within the specified ranges can cause logic circuits to malfunction. will give unpredictable results, therefore input voltages within this range is not allowed. unwanted noise can affect the performance of a logic gate and the digital circuit. output of logic low for a short interval of time. earlier) is added to the output signal of the first AND gate. second AND gate, the circuit will thus malfunction. `Noise Margin' of 0.9 volts. level noise margins are represented by VNH and VNL respectively. The CMOS 5 volts and the 3.3 volts series can not be mixed. 0.9 volts. Similarly, low-level noise margin is 1.17 volts (1.5-0.33). based digital system perform better. without having to worry about dissipating the access heat generated by the logic devices. currents ICCH and ICCL respectively. between high and low for every one half of the cycle. Power Dissipation in TTL circuits is constant over its range of operating frequencies. For example, the power dissipation of a LS TTL gate is a constant 2.2 mW. The Propagation Delay of a gate limits the frequencies at which the gate can work. Propagation Delay of 3 nsec is faster than a gate with a 10 nsec delay. time is measured at the 50% transition mark. and tPHL propagation delay times are same. 1.5 and 2 minutes respectively to check the ticket and allow the spectator into the stadium. 30 minutes is the longest as the guard at Gate C has the longest Propagation Delay. upon the frequency because of capacitance effects. 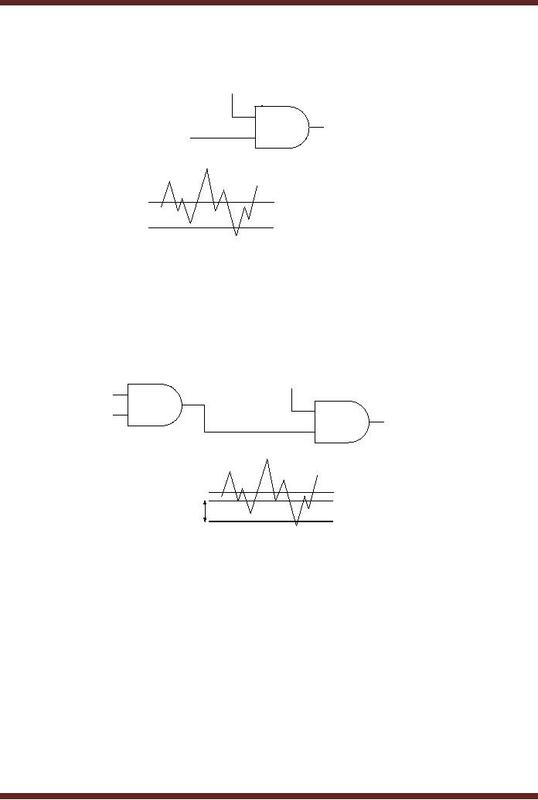 to a like circuit. Consider a 7400 NAND gate. The output current at logic high is IOH = 400 μA. another gate connected to its output. source current increases the power dissipation increases. Figure 7.7. The fan-out of a CMOS gate depends upon the maximum frequency of operation. Fewer the load gates, greater the maximum frequency of operation.